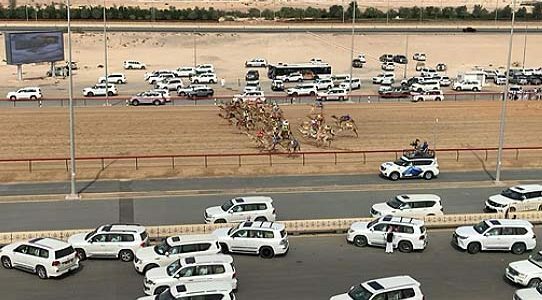 The grand finale of the 38th edition of the camel racing festival at the Al Marmoum Heritage Village in Dubai is being held from 6 to 18 April. Under the patronage of the HH Highness Sheikh Mohammed Bin Rashid Al Maktoum and under the supervision and direction of the HH Highness Sheikh Hamdan Bin Mohammed Bin Rashid Al Maktoum, this important event is celebrated in which the camels whose owners from different Arabian Gulf countries compete in numerous races to obtain the most precious prizes. Our OB VAN 15 HD participates in the production of this event with an allocation of 10 HD camera chains, 1 Jimmy Jib and 2 EVS. 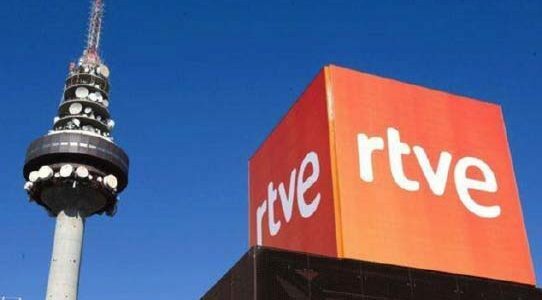 After the dismantling and disaffection of the current equipment of Studio B3 of Torrespaña, for its subsequent renovation by the new equipment acquired by RTVE (whose installation will be taken over by VAV Engineering), additional work has begun on this first phase, which they involve the adaptation of an area of ​​the area of ​​racks in the Apparatus Room of the Master Control of Torrespaña. These works have also been executed by VAV Engineering and contemplate the transfer of a rack with all its installed equipment, which is currently operative, to a new designated area in the Apparatus Room. This transfer will allow the extension of the area of ​​racks, allowing thereby accommodate the installation of new equipment purchased, which requires more space than was previously reserved for StudIo B3. 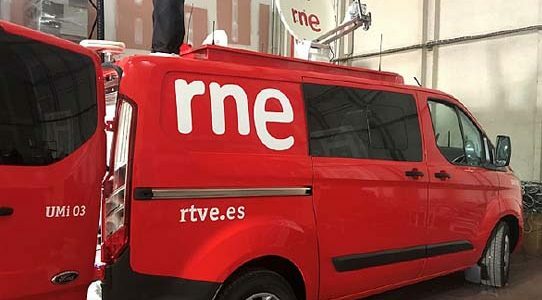 One of the important milestones in the achievement of this transfer is to do it without affecting the daily operation of the equipment associated with this rack, and, therefore, without repercussion in the emission of the RTVE signal. Parallel to these works, those corresponding to civil works are also being carried out, which will allow adapting the current work environments to the requirements of the new operating flows. Once the previously described works have been completed, circumscribed in the first phase, those associated with phase II will begin. In this second and last phase we will proceed with the installation of the new wiring infrastructure, the new equipment purchased and the integration and final start-up of the new Studio B3 and all the areas associated with it. On April 7th, the FIM CEV REPSOL 2019 season starts at the Portuguese Estoril circuit. VAV BROADCAST, with DORNA SPORTS, will provide the U.M. 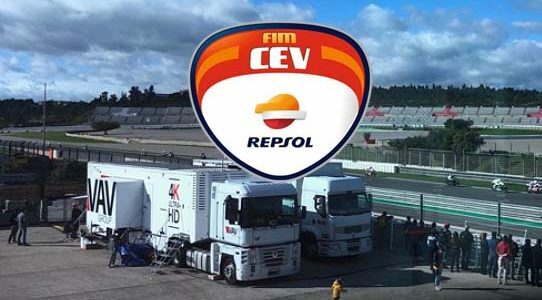 21 UHD for the production of the international signal of the FIM CEV REPSOL 2019 championship, which includes the European Talent Cup, Moto2TM and Moto3TM categories. As standard technical equipment, the OB Van 21 UHD will provide for each of the retransmissions 12 HD camera chains, 10 box lenses, 3 EVS’S XT3 8 channels, 1 HD camera link, in addition to the technical and assembly crew. During the 2019 championship we will move to the following circuits. In Spain, DAZN will broadcast each of the Moto3™ Junior World Championship races, the Moto2™ European Championship and the European Talent Cup, BT Sports in the United Kingdom and Ireland, and will broadcast all the races live. In France Canal Plus will also broadcast the races through its channel Canal + Sport. In Italy it will be Sky who joins the broadcast of the championship. Other countries where the championship can be followed will be Belgium, Holland, Romania, AbuDhabi, Cambodia, China, Hong Kong, India, Mongolia, Myanmar, Papua New Guinea, Pacific Islands, Slovakia, Czech Republic, Solomon Islands, Thailand and Vietnam. In addition, in those countries without television coverage, all races will be broadcast live through the Youtube channel of the championship. On Saturday, March 30, the third and final round of the Jiu Jitsu President’s Cup was held at Mubadala Arena in Zayed Sport City, Abu Dhabi. 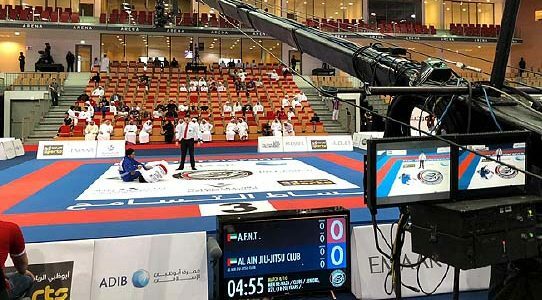 Jiu Jitsu is the national sport of the UAE which has a high number of followers who attended the final on Saturday where the participants from all emirate clubs disputed the numerous prizes that ranged between 50,000 AED and 80,000 AED depending on the categories. The winning clubs were Sharjah in the lightweight category, Al Ain in the middleweight category and Al Jazira in the heavyweight category. For this retransmission, our OB Van 15 will move with an allocation of 11 HD camera chains and 3 EVS. 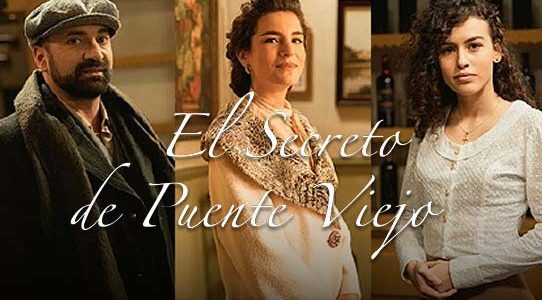 The series “The Secret of Old Bridge” produced by Boomerang TV on the sets of VAV GROUP, in Leganés. It incorporates three new characters, Marchena, Lola and Maria Elena, the actors that will give them life will be Pedro Nistal, Lucia Margó and Patricia Ponce de León respectively. Incorporating these new characters to the new plots of the series. VAV GROUP contributes to the series in addition to 2 sets of 1,200 m and 1,600 m respectively, 2 recording units with 3 HD camera chains each and all operating crew. “The Secret of Old Bridge” has already exceeded the 2,040 episodes issued in its eight years of broadcast, with an average this season of 1.3 million viewers per chapter, a 13.4 screen share. 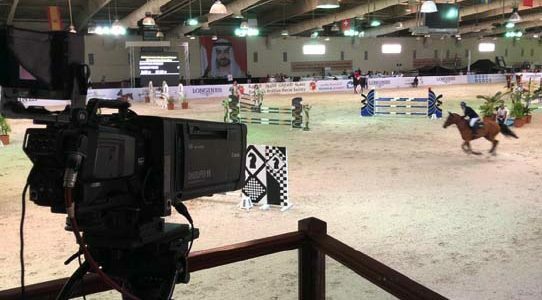 On March 22 and 23, the Horse Jumping Show was held on the Bu Theed block in Abu Dhabi. In this international event organized by HH Sheik Sultan bin Nayhan, horses participated from 7 countries which displaced their best horses to delight the audience with an exceptional show. Participants won prizes of between 80,000 AED and 120,000 AED according to the categories. Our OB Van 15 HD was present with a crew of 7 HD camera chains, 5 box lenses and 2 EVS. 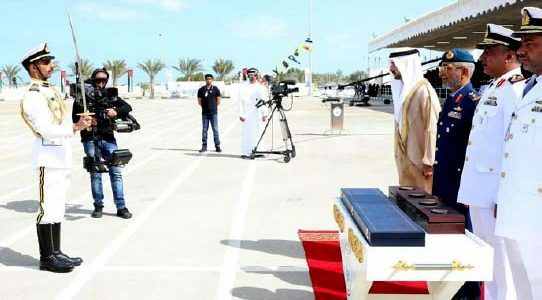 On March 20, the nineteenth graduation ceremony of the Rashid Bin Saeed Al Maktoum naval school in Abu Dhabi was held. The ceremony was attended by Dubai Crown Prince HH Sheikh Hamdan bin Mohammed bin Rashid Al Maktoum, as well as General Commander Isa Saif bin Ablan Al Mazrouei. The event was led by the school’s commander, Saeed Salem AlKaidi. The Sheikh Hamdan witnessed an impressive performance carried out by the graduates with whom I took a commemorative photo after the event. Our OB Van 15 HD was present at the event with an endowment of 10 HD camera chains, 1 Jimmy Jib, 1 EVS, Steady Cam and HD Wireless Link. VAV Engineering has completed the installation work of wiring, equipment integration and commissioning of OB Van # 2, forming part of the supply of a total of five integrated vehicles of light type (with identical specifications), equipped for the transmission of audio and destined to offer services of contribution to National Radio of Spain, of whose integration was adjudicated, through public contest, the company of engineering and audiovisual facilities of the VAV Group (VAV Engineering). After the delivery of this 2nd OB Van, VAV Engineering continues with the integration works of the OB Van # 3 while at the same time it has started the respective wiring and integration of the OB Van # 4. Soon the reception of the 5th OB Van is expected, completing with this last vehicle the total supply of the award. 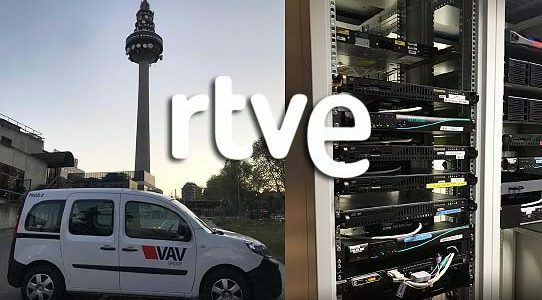 VAV Engineering is awarded the contract for the engineering, installation and start-up of new equipment for the adaptation of the Torrespaña B3 Studio that will allow workflows in High Definition. In a first phase, VAV Engineering has already started to dismantle and disaffect the current equipment and it has become obsolete with the arrival of new HD technologies. After the completion of this preliminary phase, civil works will be undertaken to adapt the work environments to the new operating requirements. Once these conditioning work has been completed, the installation of the new wiring infrastructure, the new equipment purchased and the integration and final commissioning of Studio B3 and all associated areas will begin. Among the areas and workspaces that will be affected by the renovation and installation of equipment, and its corresponding wiring, are the following environments: Master Control Room, Controls of Studio B3, Studio Floor B3 and the Press Room. 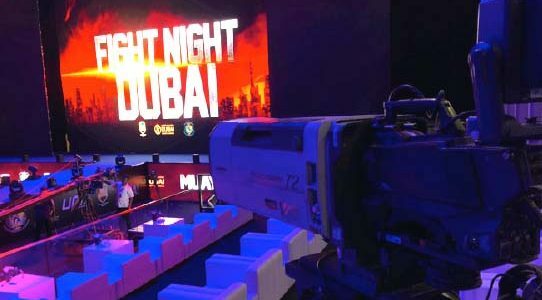 On March 8, the first edition of UAE Muay Thai & Kickboxing Federation Fight Night Dubai was held in Dubai Festival City Arena. Both sports have a high number of followers in the UAE who could enjoy the event in which the competitors played the prized title of champion. The Thai competitor was the winner of that title. For the retransmission of the event, our OB Van 15 HD moved with a crew of 9 HD camera chains, one Jimmy Jib and 2 EVS.